The European Green Car Initiative, which started as part of the recovery package launched by the European Commission in response to the world financial crisis, has gradually taken centre stage in the Commission road research policy. This role has been confirmed by the Council and by the European Parliament, and it is therefore scrutinized for the results it is expected to bring. Electric vehicles are at the heart of this initiative, and the results of the first call confirm the interest of the European industry and of the research community for the development of advanced technologies in the domains of electrochemical storage, electric motors and auxiliaries and innovative vehicle architectures to fully exploit the potential of electrified vehicles. 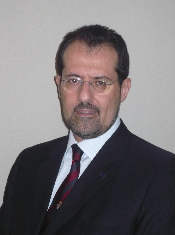 Currently working at the European Commission, Directorate General for Research and Technology Development, Surface Transport Unit, Maurizio MAGGIORE is responsible for all automotive and maritime projects dealing with electric drives and fuel cells. He is also responsible for the technical content of the Green Car Initiative. In the past he has also been responsible for Aftertreatment and Light structures projects in the Road sector. Born in Como, Italy, he earned a Degree in aerospace engineering at Milan Polytechnic in 1985, after which he joined Agusta, the Italian helicopter manufacturer. He worked there for 15 years, initially in the Advanced Design Dept, and later in the Research Coordination office, mostly managing EU-funded cooperative research projects in different areas such as aerodynamics, interior and exterior noise, concurrent engineering, training, gearbox design. A fervent supporter of the need to increase the awareness of technology in the general public, after more than 20 years as a part time freelance science and technology journalist, in 2000 he was asked to contribute to starting a technology divulgation magazine, acting as the Chief editor for mechanical technologies before joining the Commission in 2002.